Photo courtesy NHRA Motorsports Museum. 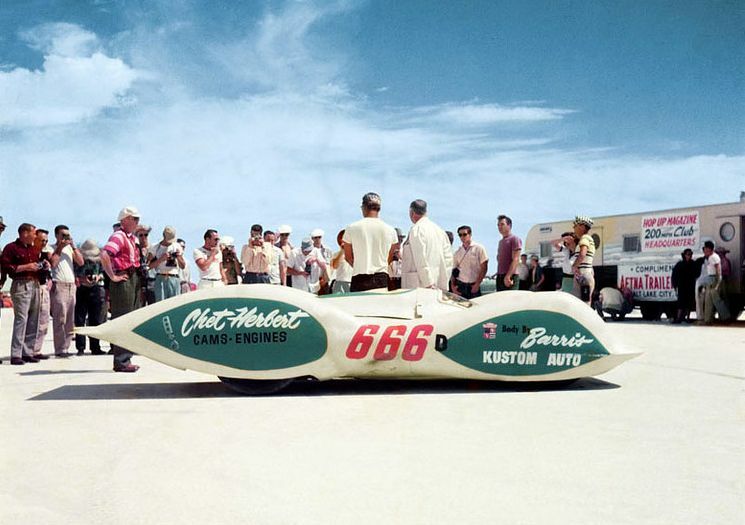 While it only took three weeks for Chet Herbert and his crew to build the Beast IV, Herbert’s last and most successful streamliner, Dan Webb’s restoration of the low-slung racer, which debuted last month, understandably took a little bit longer, considering that only a handful of the Beast’s original parts remained after decades of reconfigurations. The earliest of those reconfigurations, in fact, took place during the car’s original construction period. According to an article George Barris wrote for the January 1954 issue of Rod and Custom, Herbert originally intended to use a Weir Indy engine, a then-20-year-old four-cylinder, until it blew up on the dyno, forcing Herbert to switch to a 331-cu.in. 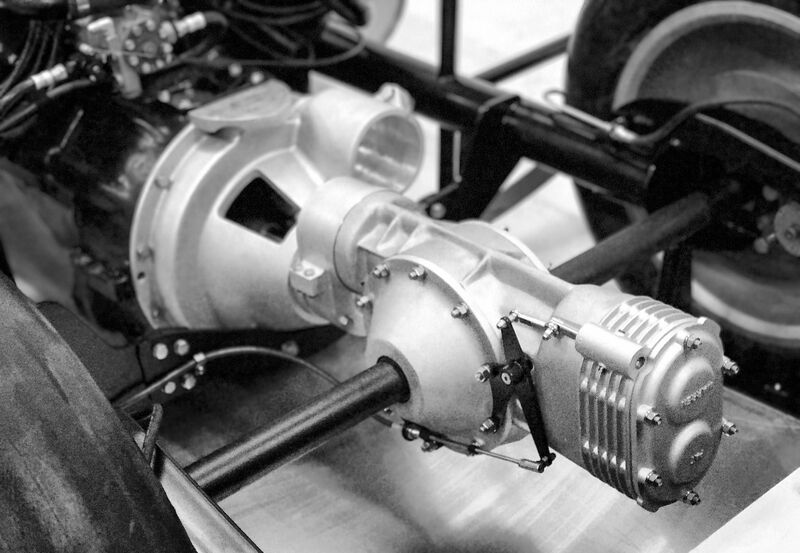 Chrysler Hemi V-8, directly mounted to the Pat Warren two-speed quick-change rear axle using a one-off bellhousing adapter. “As the story goes, Dad went to the local Chrysler dealer and talked a friend into pulling the Hemi out of a brand-new car, then took it straight over to Stu Hilborn for a set of injectors,” Doug Herbert said. Barris, a friend of Herbert’s who was known more for customizing street cars and less for building race cars, had the inside line on the streamliner’s construction after Herbert chose him and his brother Sam (along with S&S Metal Shaping) to body the streamliner in aluminum. 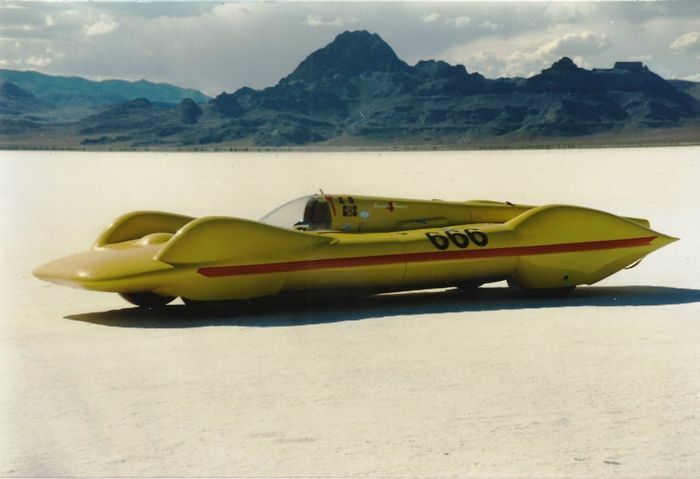 According to Doug Herbert, much of the design resulted from the data that his father and Rod Schapel gathered while wind tunnel testing for the Beast III‘s fiberglass body, tweaked after running Beast III at Bonneville in 1952. 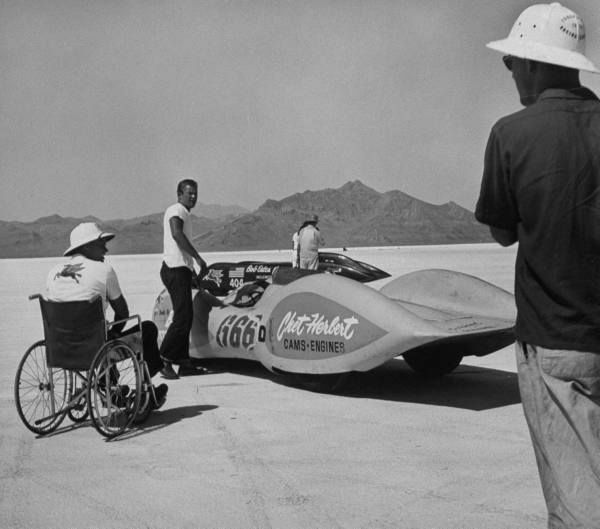 With the build completed in time for the 1953 Bonneville Speedweek, Herbert – paralyzed from a bout with polio as a young man – chose Leroy Neumayer to pilot the Beast IV. On that first excursion, it recorded a top speed of 246 MPH, 12 miles per hour better than the Beast III‘s best, and set about half a dozen records in the process. 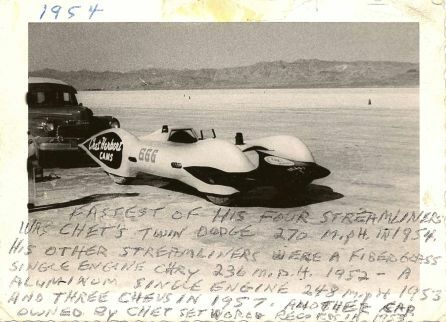 “It just shows how these two kids from Southern California – Dad and George were both probably 24 or 25 then – with some innovation and determination, could build a car from nothing in just a few weeks, then take it to Bonneville and break records that were set by Auto Union on the Autobahn in the Thirties,” Doug Herbert said. Photos courtesy Webb Automotive Art. 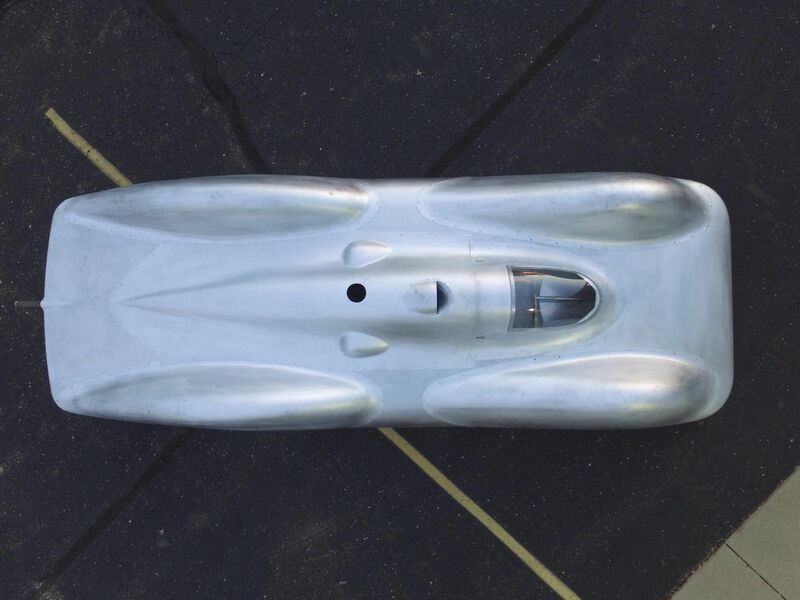 Most accounts claim the streamliner ran continuously until 1991, and according to information compiled by Greg Sharp, curator at the NHRA Motorsports Museum, that included runs in 1954 (with a pair of Dodge V-8s good for 270 MPH), in 1957 (with triple Chevrolet V-8s), in 1958-1959 (campaigned by show car builder Ermie Immerso with a new chassis and a pair of supercharged Chrysler V-8s good for 289 MPH), and in 1990-1991 (campaigned by Bruce Johnston with a GMC 302-cu.in. 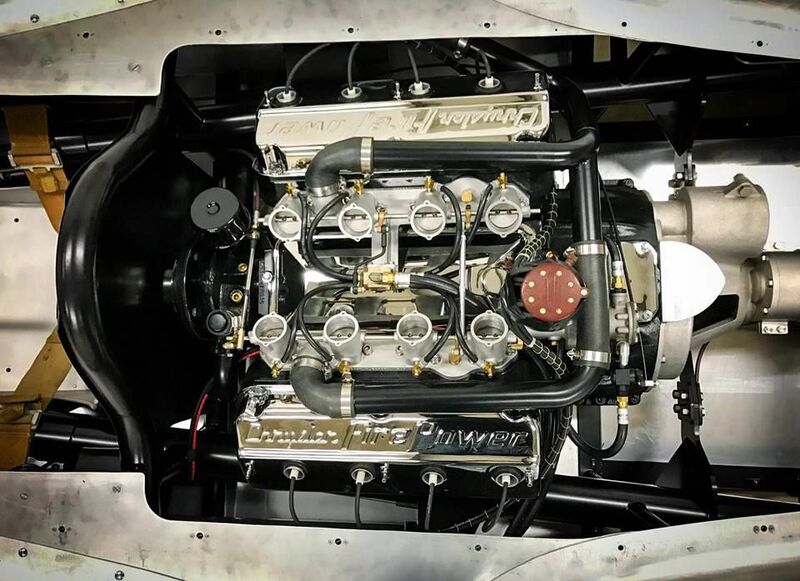 six-cylinder engine), along with some less distinguished runs using a pair of big-block Fords and a blown Lincoln V-8. By the time it finished active campaigning, Beast IV‘s original 95-inch wheelbase had stretched like taffy, and all that remained of the original Sam Barris-built aluminum body were the wheel pods and a section of the nose. “It’s a wonder there was anything left to restore,” Sharp said. 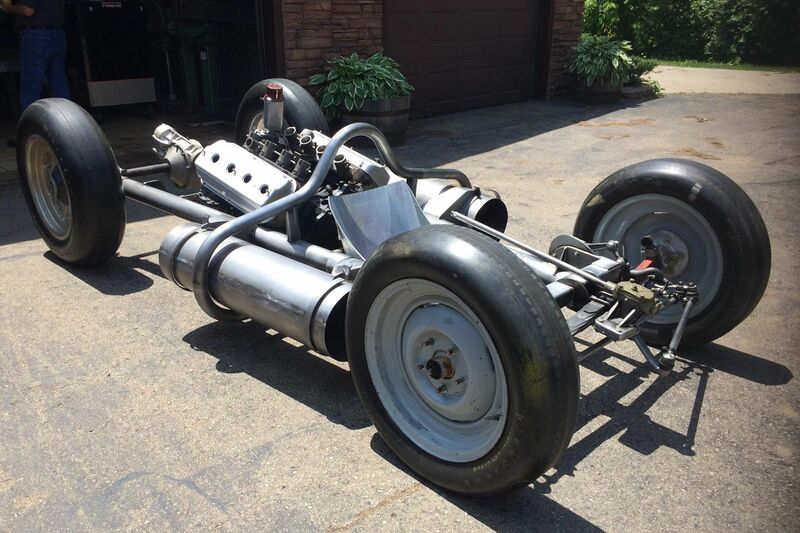 In need of restoration, it eventually made its way to David and Marianne Duthu, who decided not only to donate the streamliner to the NHRA Motorsports Museum, where the restored Beast III already resided, but also to fund the restoration. “David said he wanted a real car and not a recreation, but after all those years and all the remodeling, it was in a pretty sad state,” Sharp said. 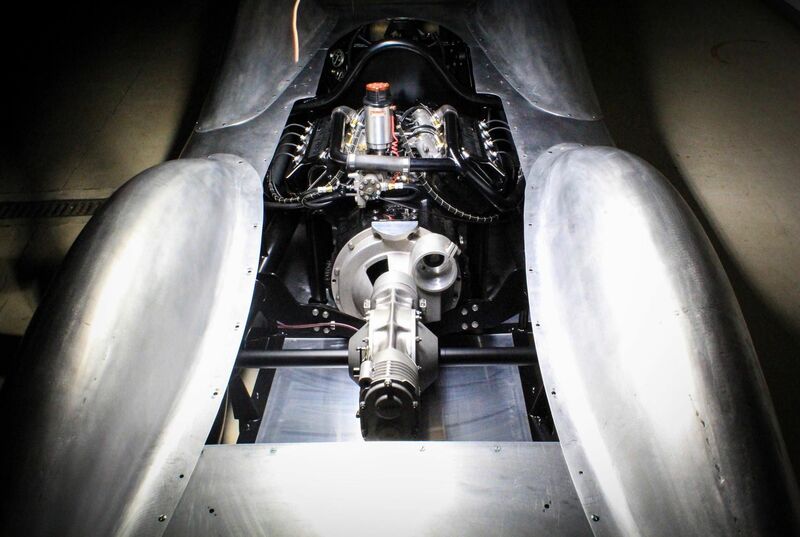 So last March, the museum selected Dan Webb – well known for replicating a number of famed dry lakes and Bonneville racers – to restore/rebuild the Beast IV in its original 1953 configuration. “Dan used what he had, but he had to really recreate the whole thing, mostly from pictures that we found in old magazines or that I found in dad’s shop,” Doug Herbert said. To put the body back together and fill in the missing pieces, Webb turned to Craig Naff in Virginia. Webb, meanwhile, with the assistance of his daughter Ashley, sourced what period-correct pieces he could and – with help from Rob Ida – fabricated what he couldn’t. 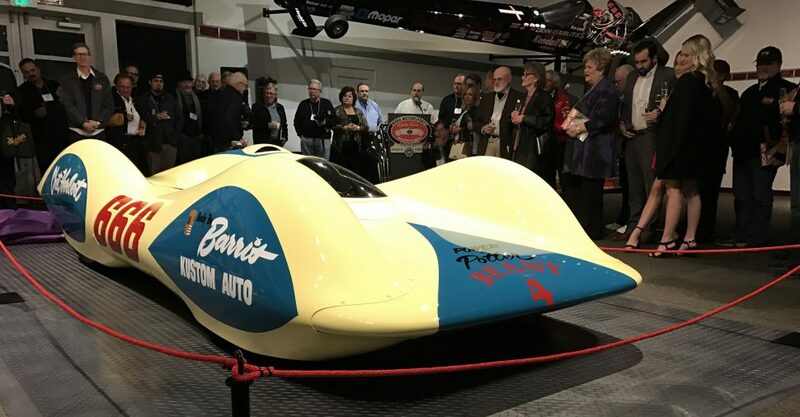 Darryl Hollenbeck then painted the car before Webb wrapped up the build in time for its reveal late last month at the museum, where it’ll go on display along with Beast III.